Ten Royal Marines attended and the event ran from 10am - 1pm, beginning with a site safety induction, followed by an introduction to the business and the different trades and opportunities available within SWH Group. The group were then introduced to several employees from across the business, including Site Agents and Managers, who gave an insight into their careers in construction. SWH Group is a supporter of Plymouth City Council's Building Plymouth initiative. Emma Hewitt, Skills Coordinator for Building Plymouth, also came along to talk to the group about opportunities in the Plymouth area. The group was then given a tour of Head Office, followed by a Q&A session. 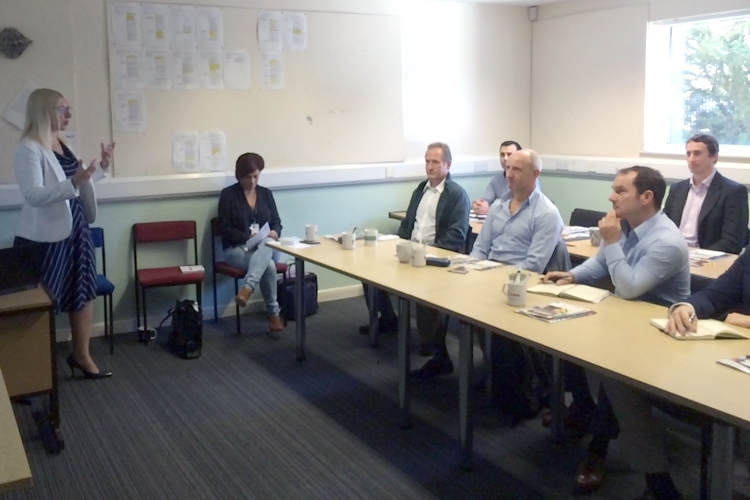 “We gained an exceptional eye-opener into the world of civils and construction today. SWH were extremely generous with their time and information, and honest about the opportunities available within SWH itself, and across the sector locally, nationally and globally. They were able to offer inspiring real life stories, a practical insight into what individual roles meant, and how these injured Royal Marines might transfer their abilities, as well illustrating that different cultures exist in different organisations. They also demonstrated what the future holds for this exciting industry with digital technology and other innovations. This entry was posted in Apprenticeships & Training and tagged taster days, training, swh group by Sarah Cole. Bookmark this permalink.